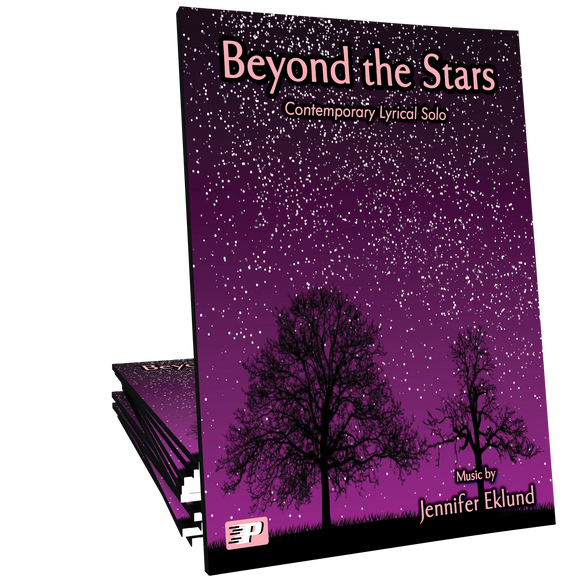 Beyond the Stars is a quiet and contemplative lyrical piano solo for late intermediate pianists. 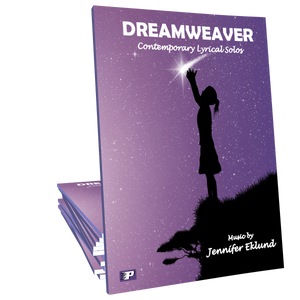 Music by Jennifer Eklund and part of the Dreamweaver songbook. Loved this piece! 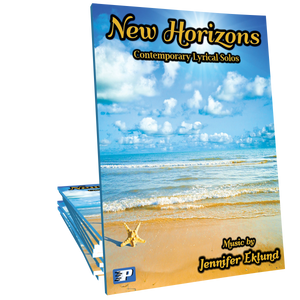 This piece invoked the feelings of memories and thoughts of heaven. The melody and beat are perfect for learning. I will enjoy playing this piece and making up a few little bits and pieces to play into it myself! I enjoy playing the piece, as it is both peaceful and moving. I also assigned to one of my “early advanced” piano students who normally prefers strictly “art” or “classical” style pieces to contemporary pieces. It provided a bit of a challenge for her, but she also enjoyed the piece and stuck with it until she learned it. A peaceful flowing piece. I picked this one for me but I know I will have some students who will love it too.